8-5-02 - Posted by Nighty The time has come to close this site. This decision was not easily reached, but with the fragmenting of my staff, the fact that I need my domain space for other uses, and a general lack of anything new in the 3dfx community of late, I felt it was a good idea. I will leave the site on my Tripod domain as an archive. Thanks to everyone who made this site a success, we recieved tens of thousands of hits in the short time it was open. I will not update the site after this, but you can always reach me on the x3dfx forums. Peace, love, and 3dfx mojo baby! 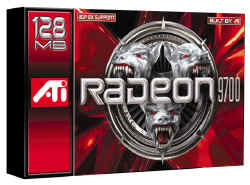 7-18-02 - Posted by Nighty Official specs and information have been released for the ATI Radeon 9700. Supposedly much faster than a Ti4600, with DX9 compatibility. This might be the one we've all been waiting for. Here are a couple of images to whet your appetite. 7-14-02 - Posted by Nighty SS-1.00.03 drivers are now available for download! These drivers were modified by me specifically so I could play NWN in Win2k. You can't see opening credits or movies, but the game plays absolutely flawless now, even using 32meg textures. Try them and see! 7-8-02 - Posted by Nighty I re-uploaded Teg's win2k V5 drivers. It appears that during the time that my host was having so much trouble they became corrupt. Now they are good to go again, and they are still the best drivers I've ever used for win2k, as they have a refresh rate setting for OpenGL and GLIDE. 6-20-02 - Posted by Nighty Okay! Official word from Mark Rein himself (VP Epic Games) is that the V3 and V5 will work with UT2k3! Not only that, but they have added 16bit color support. Excellent job, and kudo's to Epic and the entire UT2k3 team for not forgetting the loyal fanbase of the 3dfx community! 6-20-02 - Posted by Nighty Apparently, some rather innovative young hacks have gotten the newest leaked UT2k3 demo to run on V4 and V5 cards. They simply hacked the d3ddrv.dll that comes with the game using a simple hex editor, since it seemed to be intentionally blocking 3dfx cards by recognizing it by Vendor ID. Check out the thread where this info was released. 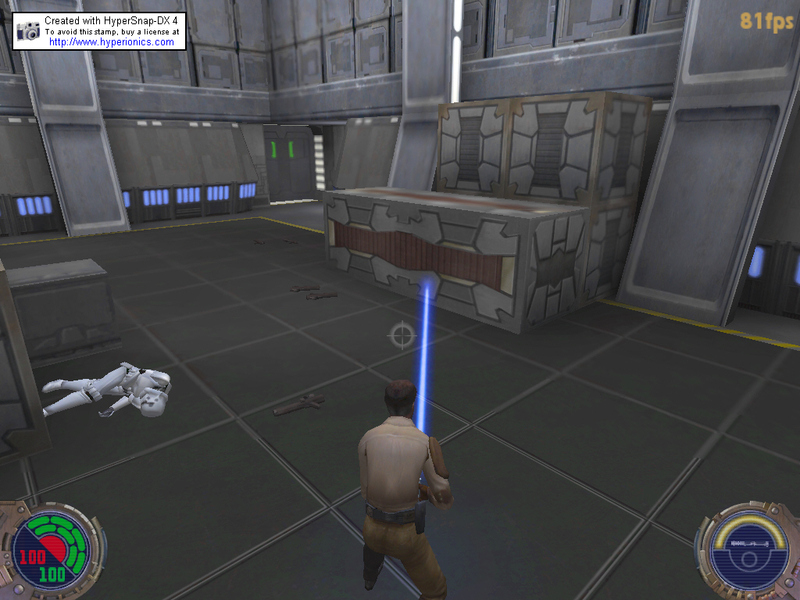 And here are some screenshots of the game running on the V5. My only question is "WHY?" would they block 3dfx cards exclusively from running this demo? I have no idea, and this might not be the case at all. We'll try and keep you updated as this thing unfolds. 6-14-02 - Posted by Nighty My IP changed again, but this time it was my fault. I shut down the router and the cable modem earlier today by accident, and when I realized my mistake it was to late. Usually, I can run with the same IP for some time if I leave everything on, but oh well. Here's the new IP: 24.206.105.85 To play on the server, just bookmark the server page and start the game from the Xplug Server Status applet. I'll always have that thing updated. 6-5-02 - Posted by Nighty Looks like my cable co. decided to change my IP, dammit! New IP for the UT server is 24.206.98.95, go to the server page for more info or click the "play now" link on this page (left bottom column, green UT graphic). 6-4-02 - Posted by Nighty Got back from Florida yesterday, and had a great time there on the Emerald Coast. White sand beaches, margarita's, and plenty of girls in bikini's (not that I was looking, mind you - Mrs. Nighty would have pounded me! ), what more can you ask for? Ofcourse, the server schedule suffered in my absence, and my apologies to all who came this last weekend looking for CTF. Schedule is back to normal now, and CTF is definitely on for this coming weekend. In other news, there may be a delay in 3dfx-u drivers due to an emergency in Aqueel's family. Our prayers go out to him and his family, and we continue to hope for the best. 5-25-02 - Posted by Nighty The 3dfx-u driver team has released a BETA version of the 1.09 drivers. Seems the full and final set will be released sometime later, but you can check out the new features and some last minute instructions here. Download the 3dfx-u 1.09 BETA drivers from 3dfx-u Win2k | WinXP and make sure and post feedback at x3dfx so they can continue to perfect these. A big shout out to the entire driver team for all their hard work, and we look forward to their final release. 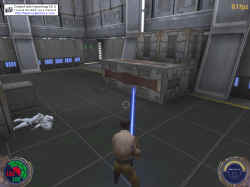 5-22-02 - Posted by Nighty Logical Madness has setup both a Quake3 Motion Blur Server and a Rune Server for your gaming pleasure. Go here for the IP's and server info. Also, check out nd4spd's cool x3dfx FTP Server, where you can d/l the Q3A Motion Blur Demo, as well as all kinds of 3dfx related drivers, videos, game files, and other associated stuff. 5-21-02 - Posted by Nighty My web host has been having some server issues lately, and even though the website appears to load fine, some of the downloads are having difficulty. We are working on the problem, and hopefully things will be back to normal soon. 5-17-02 - Posted by Nighty Devin Phillips, founder of 3dfx-u, contacted me today and assured me that May 25th was indeed a go for the driver release. Expect a full review as soon as we can get our grubby mits on it. 5-15-02 - Posted by Nighty Just received email from Mark Rein, the VP at Epic games, in reference to the upcoming Unreal titles. Mr. Rein states that Anand (from Anandtech) tried running the UPT (Unreal Performance Test) with the V5, and that it didn't work. He also states that he suspects all upcoming games from Epic will not work with the V5. I guess we won't know for sure if the game will run until it's out, but this isn't good news for the 3dfx users out there hoping to play these games. In other news, it looks like an unofficial date of May 25 has been the rumored release of the new 1.09 x3dfx-u drivers. I would take that date with a grain of salt, however, as the drivers have not even been beta tested at this point. Some of the staff here at VS will be evaluating and play testing these drivers when they are provided for beta, so stay tuned for more. Oh, and yes, Power got his cable back, although not without quite a bit of undue trouble. And trust me, he never owned me at Duke3d. 4-27-02 - Posted by PowerHitter Well people, looks like I will be off the net(at least with my cable connection) for a few weeks starting 4-29-02. Nightstormer is going to loan me a 56k modem so I can at least keep in touch until I can get another broadband connection. We have had alot of fun playing UT on Nightstormer's Dedicated Server the last few weeks. It's reminded me of all the times I used to play Duke Nukem 3D with Nighty(which I OWNED)..lol..just kidding dude. If you haven't already played on the server be sure to check out the server page. According to Nighty I think he is going to host some CTF matches tonight, should be a blast. I will definetly be there for one last hurrah. Hope to see you there! 4-17-02 - Posted by SolidState The last few nights have held some pretty exciting times on Nightstormer's new dedicated Unreal Tournament server. It's looking like this might become a nightly thing, although the server *should* be up most of the time. Head on over to the server page for all the goods, including the IP, status and stats, as well as some cool user submitted pics. These screenies really look terrific, and if the frame rates as displayed at x3dfx are any indication of the performance to be expected, these drivers should really be winners. 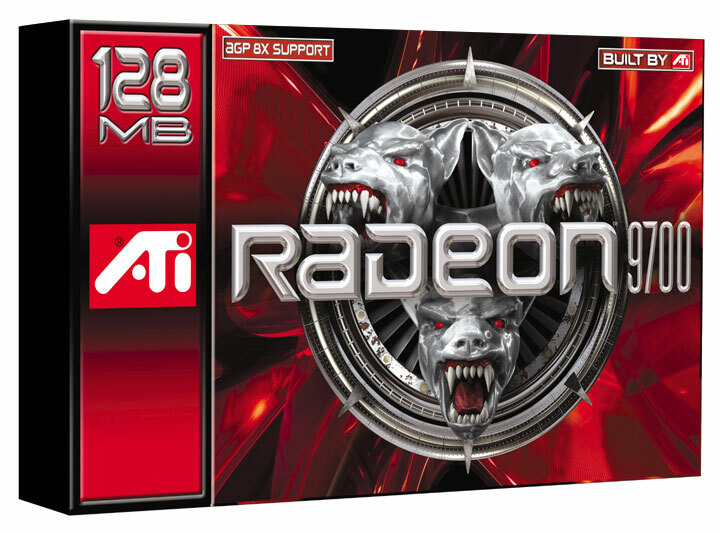 Go to 3dfx Underground for news and other information about this much anticipated driver release. Special thanks to aquoes for taking the time to send me these, and to the entire team for all their hard work. There are some Unreal2 related videos floating around the net. Definitely worth the download if you've got the big pipe. Looks like the game should be playable on the TnT2 grade cards or better, but unfortunately it looks like it will be 32bit only. 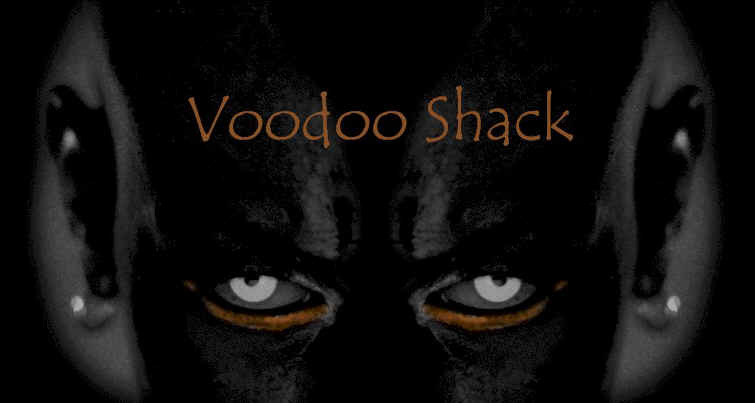 Voodoo3 owners may have to start seriously thinking about doing that upgrade soon if this is going to be the trend for other titles as well. 4-3-02 - Posted by Nighty We're conducting a benchmarking experiment over at x3dfx. If you have the Quake3 Demo, or can get it, and use a V5 5500, why not come and join in the fun? 3-31-02 - Posted by Nighty Alot of people are still unsure about how to install WickedGL into OpenGL games that aren't listed in the switching utility. Here's the instructions I posted at x3dfx, which will allow you to use WickedGL for any OGL title. Note that WickedGL works great with some games that aren't listed in the program, but others may not work as well. 1) Use Windows Explorer and open Program Files/Metabyte/WickedGL folder. 2) Double Click on the Wglgames.cfg file. Windows may not know how to open this, so when it asks what program to use choose "Notepad." 3) Simply add the program information of every game you want to be listed in the Switching Utility, following the format of the programs already included (Title, .exe, and gl type). 4) Save the file after you input the new data, and open the Switching Utility. Now all the games you added in the Wglgames.cfg will be visible in the Switching Utility, and will install and uninstall just like normal. 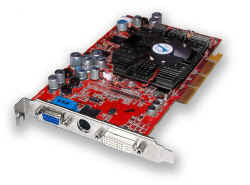 3-9-02 - Posted by Nighty Nothing much to report of late in 3dfx news. The Geforce4 is out and about, and it looks like the Radeon 8500 has permanently dropped in price below $200US. Still waiting for the Kyro3, if it is ever released now that the company that makes it seems to be in trouble. Thats all we need, for another competitive game card maker to go belly up. Competition GOOD. Monopoly BAD. You listening Bill? 2-20-02 - Posted by Nighty 3dfx.com was supposed to be closed down yesterday, but it's still up. Go figure. A couple of great new sites have opened this month, and are well worth your attention. 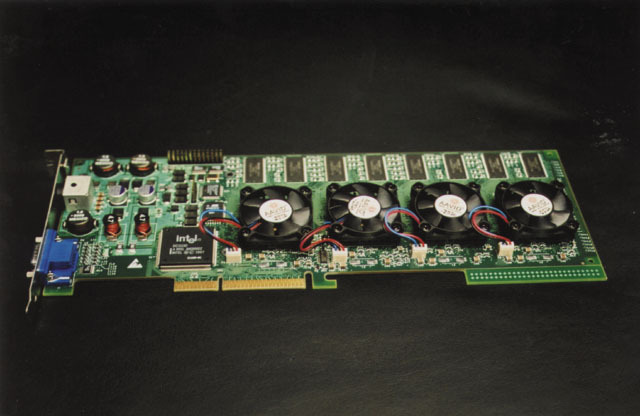 Both the 3dfx Archive and Rashly's 3dfx Site are online, and continuing the legacy of 3dfx for those still interested in Voodoo cards. Great job guys! 2-13-02 - Posted by Nighty LogicalMadness has some V5 6000 benchies for us finally on his 1.33GHz T-bird. Good job man, now for some FSAA! On a less serious note and for a good belly laugh, you gotta go see the Official Ninja Site, good lord this crap made me giggle like a school girl. Check out the movie scripts if you wanna pee your pants! 2-11-02- Posted by Nighty It took several weeks, gallons of coffee, and a curiously dull-witted facination for obsolete hardware, but VSA100 vs V3 PartII is finally complete. Check it out. 2-10-02 - Posted by Nighty Wow! LogicalMadness from the x3dfx forum bought a non-working V5 6000 off of Ebay, and managed to get it working! Maybe this can help someone else with a broken card. 2-5-02 - Posted by Nighty Bonehed has been keeping me busy with all of these new performance graphs he keeps sending. Thanks Bone! They really spice up the material, and do a good job of illustrating the benchies. P.S. I was just joking about the rotten fruit. 2-4-02 - Posted by Nighty All the transfers are complete, and the website should be 100% functional. The V5 Overclocking article is now finished and online, so check it out. Special thanks to Bonehed for allowing me to use his pic and methods for the article. You can find Bonehed at the x3dfx Discussion forums, where he is always causing considerable spammage havoc. 2-3-02 - Posted by Nighty To celebrate our new domain, I've actually taken a little time to revamp the site. The old one was pretty much temporary anyways, and I never had the intent to make it anything other than a place to publish my articles, but wtf. Better late than never I guess. If you find links that don't work, or the old pages pop up, thats because I'm still in the process of changing over. 2-1-02 - Posted by Nighty All the driver links should be fixed now, sorry if there was a problem downloading anything recently. We are still working out all the bugs from the big move. If you find something messed up here, please let me know. You will need Internet Explorer 5.0 or better for the best viewing experience!